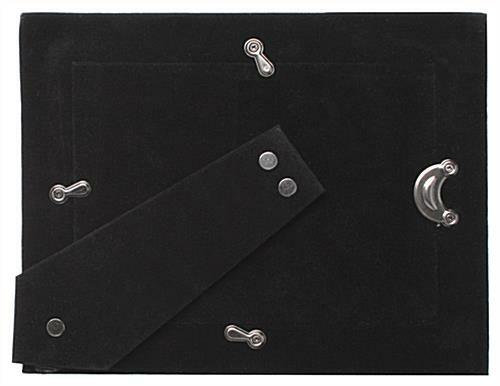 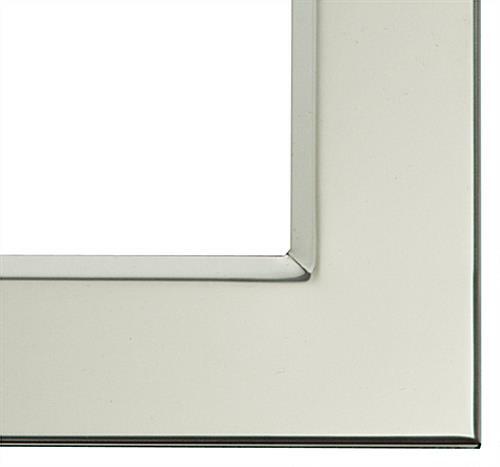 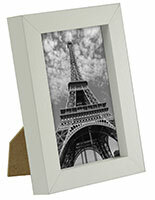 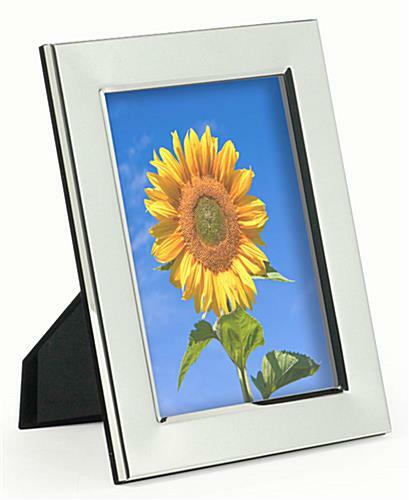 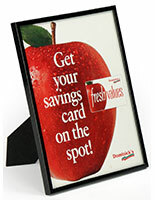 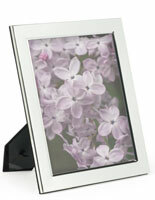 These silver countertop photo frames are made of metal and feature a reflective finish. 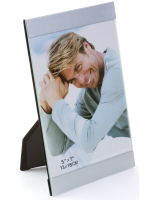 The picture displays also offer a protective glass lens that prevents dust and moisture from tarnishing prints. 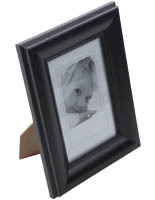 The countertop photo frames are great for any scenario because they have a doubled sided easel for horizontal or vertical placement. 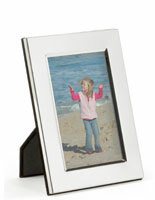 The picture display holders showcase 5"x7" prints but holders for 4"x6" and 8"x10" sizes are also available. 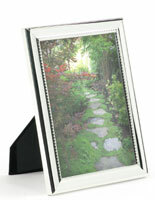 Metal photo frames with a glass lens are great as gifts for baby showers, birthdays, weddings and other events. 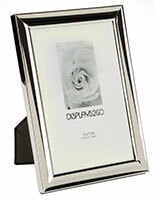 The stands look stylish on any tabletop and can be found in a a variety of sizes. 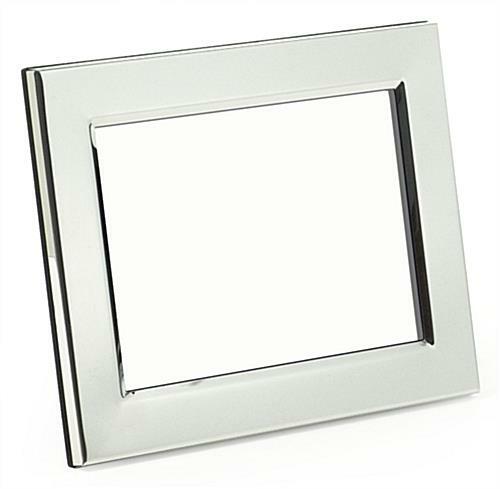 6.8" x 8.8" x 0.5"